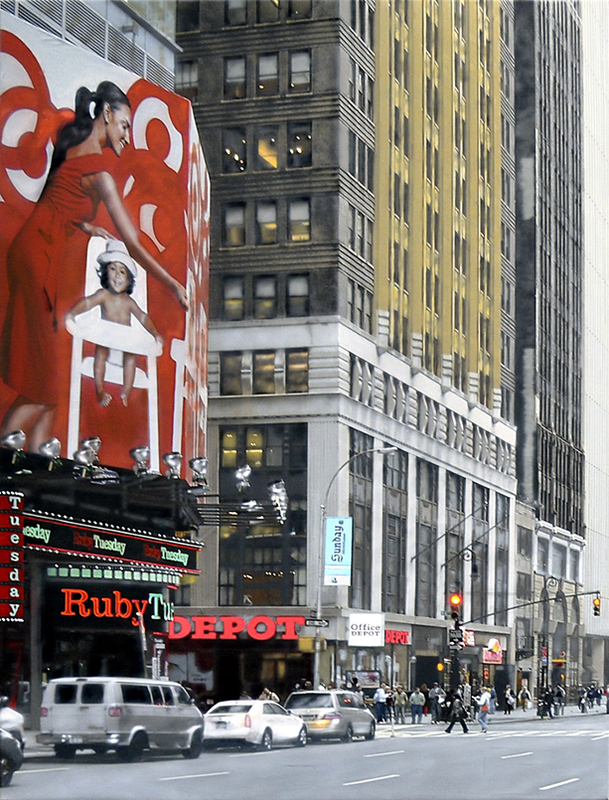 Interesting how the red mural, neon signs and traffic lights made for a natural compostion. The browns and umbers in the natural building stone facades combined to accentuate a majestic look and, despite pedestrian traffic, a serene feel. Mystified how these gargantuan commercial interruptions of space appear to go unnoticed, leading one to wonder how the advertisers have determined their potential payback.